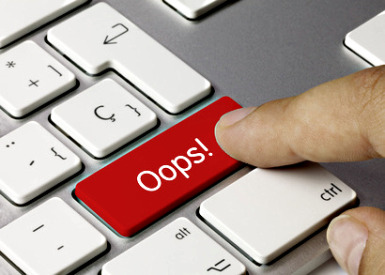 Insurance Agents carry the unique risk of making mistakes daily. Let's face it, we're all human and we all make mistakes. So how do Insurance Agents protect themselves? By purchasing an E&O policy also known as professional liability. Here are a few examples that may come into play for your insurance agency. 1. Laxity, Disregard & Neglect – A customer purchases a policy for you by sending you a check in the mail in the amount of the full premium. You forget to purchase the policy from the carrier and deposit the check. Your client then has a claim, but you inform the customer you forgot to purchase the policy. Your client then asks, "who's going to pay for the claim"? E&O insurance will help protect you from this situation and keep you from paying the claim out of your pocket. 2. Unhappy Client – A customer purchases a property policy from the insurance agent, but the agent forgets to tell the client that wind and hail is excluded on the policy. The area has a massive hail storm and much damage occurs. The carrier denies the claim and now the insurance agent is responsible. The customer remembers the agent telling the customer that it will cover everything because they assumed it did. E&O insurance will help protect you from type of error. General Liability, Professional Liability, & Business Owners Policy (BOP) are all important coverages for an agency. You can purchase your Insurance Agent E&O online right now if you have a revenue limit below or equal to $1,000,000. BOP if available if revenue limit is below or equal to $5,000,000.